But when we’re faced with a child who HATES the thought of daycare, who sobs and screams when we leave them at the gate, it’s bound to bring up a whole lot of raging emotions in us. And right at the front, bursting to be let out, is our old friend, mummy guilt. Take it from someone who has worked in daycare, before and after school care and as a school teacher – kids DO eventually calm down and enjoy themselves. Some even crack a smile, and before you know it, they’re the life of the party! Granted, settling down takes longer for some children than others, but that is why preschool teachers are renowned as being the masters of distraction. It’s amazing how quickly glitter, glue and pom poms can calm ANYONE down. If you think your child is a little more sensitive to being left, mention it to their carer, and even suggest some activities or books they may like to read to help them transition more happily. They’ll have SO. MUCH. FUN. No one can deny how awesome preschool or daycare can be. I mean, how often do your kids get the chance to learn magic tricks from a real magician, or play ring-around-a-rosie with that huge rainbow parachute? And let’s be honest, the preschool staff are happy to get glitter everywhere. They have industrial vacuums to clean that stuff up. Far better your kids make a glitter-covered-slime-bomb there, than at home! There’s nothing cuter than seeing a kid excited to see their new preschool bestie. Though until they make their first friend, everyone at preschool “is mean and hates them.” Of course. 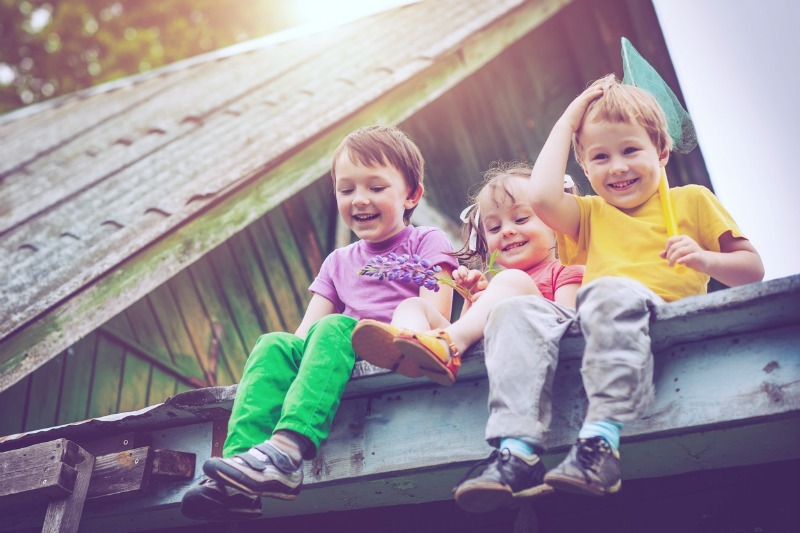 If your little one is prone to shyness or is struggling to make friends, keep in mind that young children need guidance for making friendships and peers aren’t always the best examples. Give them some tips on how to make friends. 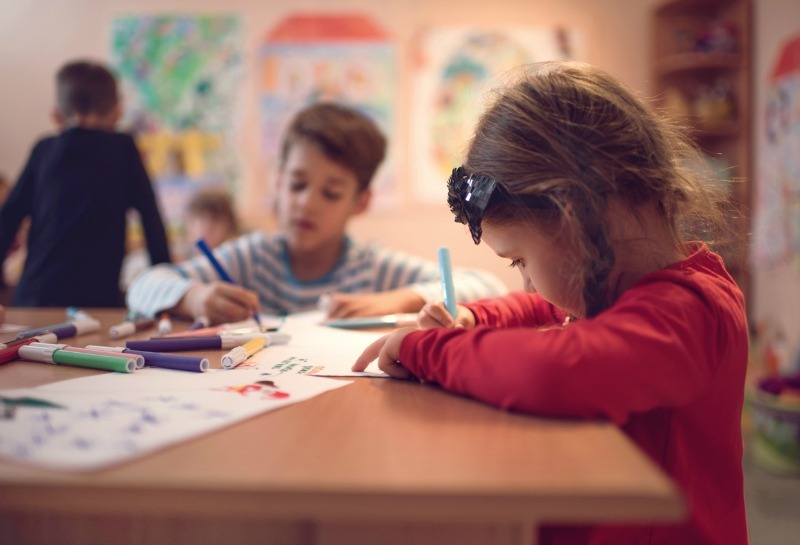 You could suggest that your child brings something special that interests them (you may need to check with the staff first, and make sure it’s non-breakable). It could be a puzzle, a book or a souvenir that they could show another kid, and maybe make a friend from a shared interest. There will be many decisions we make as parents that our kids won’t understand at the time. Remember that a child’s logic is still developing and they’ll protest you leaving them with the same passion as they protested going in the bath or eating their carrots the night before. Bathing and eating a balanced diet are in their best interests, too. Trust that going to daycare is something they may not understand now, but that doesn’t mean you’re not doing the right thing for yourself and your child. The transition from home to kindergarten is a huge one for a five-year-old, emotionally, academically and socially. Helping your child learn one thing early – getting dressed, hopping in the car and saying goodbye at daycare – will hopefully set them up for success and a smoother transition. Parenting involves an enormous amount of sacrifice, particularly in those gruelling first few weeks and months with a newborn, where you rarely leave your baby in the care of anyone else, and they seem permanently attached to your body. It’s easy to lose a little (or a lot!) 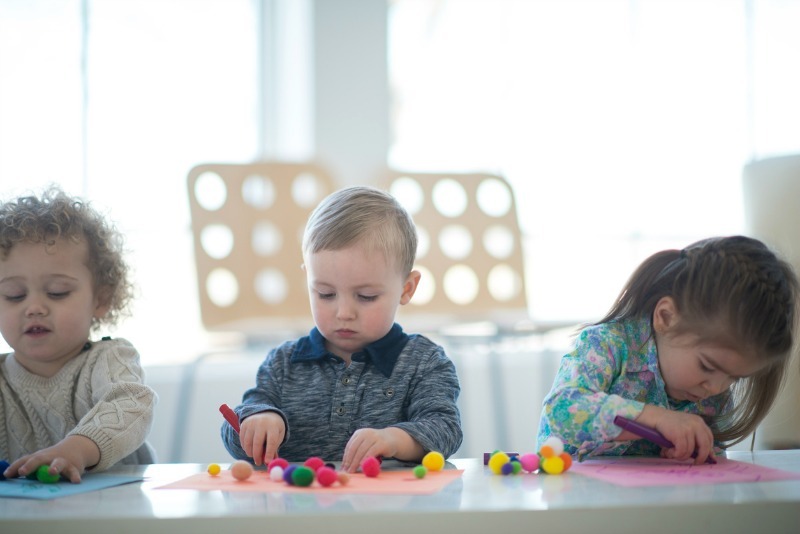 of yourself in that time, and so it’s important that when you feel your child is ready for preschool or daycare, that you feel it’s okay to send them, even if it’s just so you can have some one-on-one time with YOU! Self-care is so important for busy, tired, overworked mums. And we haven’t forgotten about you, working mums! If you’re working when your child’s at daycare, you’re still investing in yourself and your career, giving your mind a chance to learn, problem solve and be productive. You’re relieving yourself of financial hardship, and hopefully preventing stress in that area. There are so many benefits! What tips would you give a parent who is struggling with guilt at the preschool drop off?